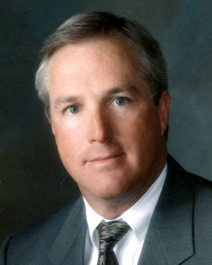 Dr. Michael A. Karr moved to Kissimmee in January 1985. He received his M.D. from the University of North Carolina in Chapel Hill in 1976. He went on to the Naval Regional Medical Center in Portsmouth, Virginia where he served an internship in surgery, then a four year residency in orthopaedic surgery. He also had fellowship training in adult joint reconstruction at the Brigham & Women's Hospital in Boston. He completed his naval career as Director of The Total Joint Service at Portsmouth Naval Hospital. Dr. Karr is a diplomate of the American Board of Orthopaedic Surgery, a Fellow of the American Academy of Orthopaedic Surgeons, and a charter member of the Association for Arthritic Hip and Knee Surgery.